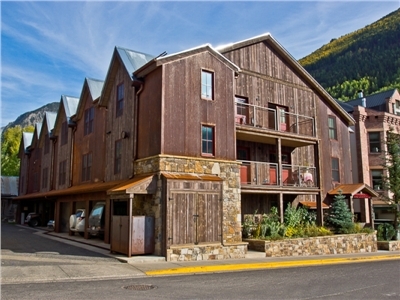 Ore Station is one of the most conveniently located properties in Telluride. 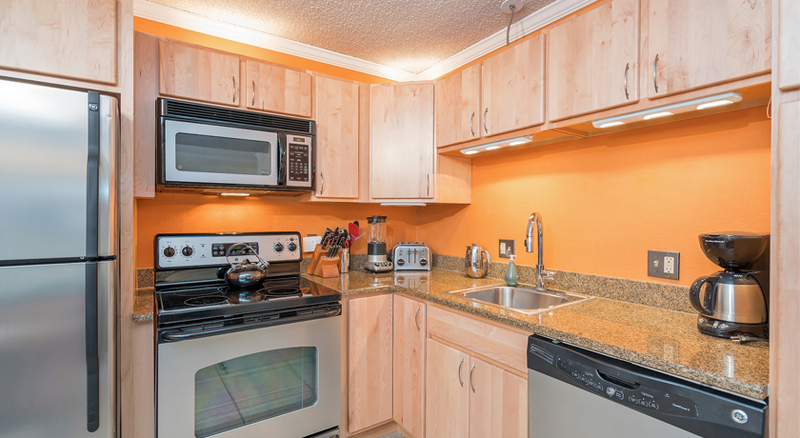 These tasteful condos are located just one and half blocks to Main Street, less than 100 yards to the Gondola Station and the Oak Street Lift, Lift #8, and just a quick walk to town park in the summer. 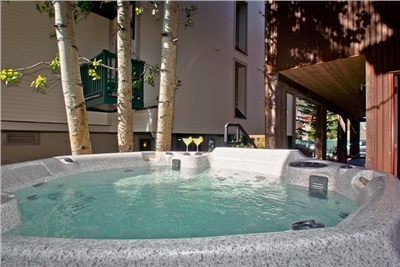 Modern oasis in the heart of downtown Telluride! Bedding: Queen bed, 1 double and 1 twin bed. Walk into this modern, updated condo on the 2nd floor and enter into the open living room/dining/kitchen area. The living room has a black leather sectional sleeper sofa and flat screen TV. Doors open up to a semi-private deck. 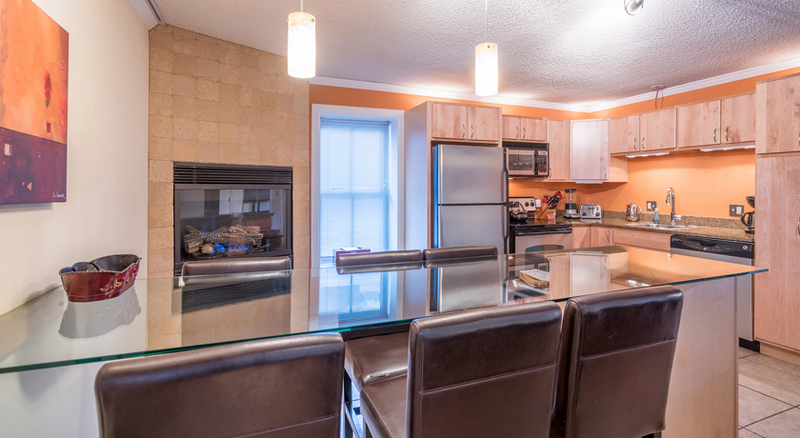 The dining area is overlooking the gas fireplace and is open to the updated kitchen with stainless steel appliances. Hardwood floors throughout the condo. 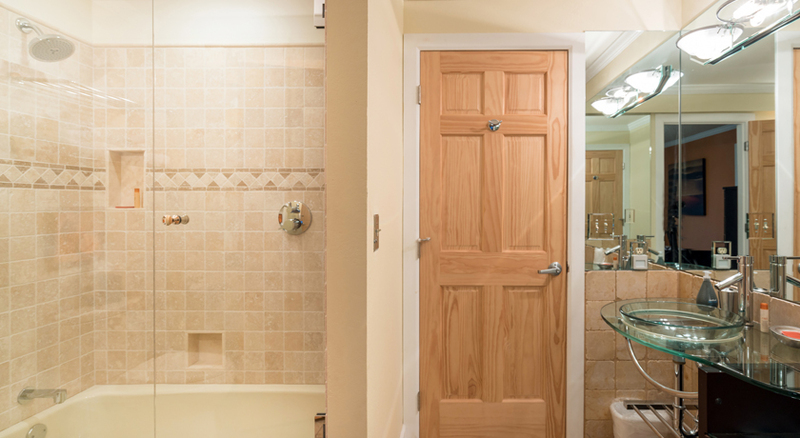 The master bedroom has a queen bed, desk and flat screen TV and ensuite bathroom with shower/tub combo. 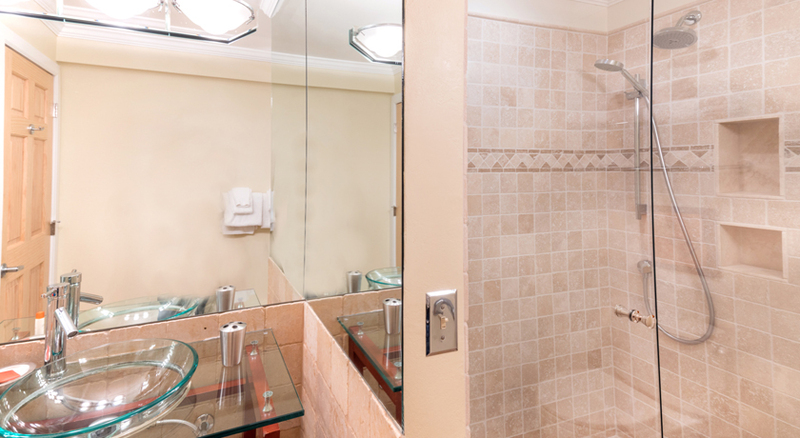 The 2nd bedroom has a double bed and a twin bed, flat screen TV and ensuite bathroom with shower/tub combo. Ore Station is centrally located in downtown Telluride, just 1 block to lift #8 and the free gondola - as well as a short walk to restaurants and nightlife. The property has an outdoor hot tub, elevator access, ski lockers and carport parking.